Spinal stenosis is a relatively common condition that largely affects the older generation and is often considered to be a natural part of the ageing process. It is a degenerative change that is characterized by the narrowing of the spinal canal, which in turn puts pressure on the spinal nerves and even the cord. - Leg pain when walking, known as claudication. - General leg and buttock pain referred to as sciatica. - Tingling, numbness or a feeling of weakness that seems to radiate from the lower back into the buttocks and legs. Spinal stenosis tends to develop slowly, and the symptoms tend to come and go rather than remain continuous. The signs of the condition are often exacerbated by certain activities, or improve with rest. There are a variety of different non-surgical treatments recommended for patients suffering from spinal stenosis. These include physical therapy programs, anti-inflammatory and pain relief medications, and cortisone injections. However, in severe cases of the condition, surgical intervention may the best option. A lumbar laminectomy is one of the most popular and successful surgical treatments for spinal stenosis, along with several other back conditions. You may also hear it referred to as open decompression. The aim of a lumbar laminectomy is to relieve the pressure on the spinal nerves or cords as a result of the compression. Lumbar laminectomies can be performed as an outpatient procedure. It involves removing a small portion of the vertebrae called the lamina. By doing this, it creates more space for the nerve, reducing compression and its associated effects. Lumber laminectomies can now be performed laparoscopically. This reduces the invasiveness of the procedure, while still giving your surgeon the access he needs to be able to perform the surgery successfully. Before you can be approved for a lumbar laminectomy, you will need to attend a consultation appointment with your surgeon. This will involve a physical examination of your back, as well as imaging tests to evaluate the condition of the spine and nerves. If you are overweight, a heavy drinker or a heavy smoker, changing bad habits ahead of your procedure will help you to achieve a healthier lifestyle and become healthier. 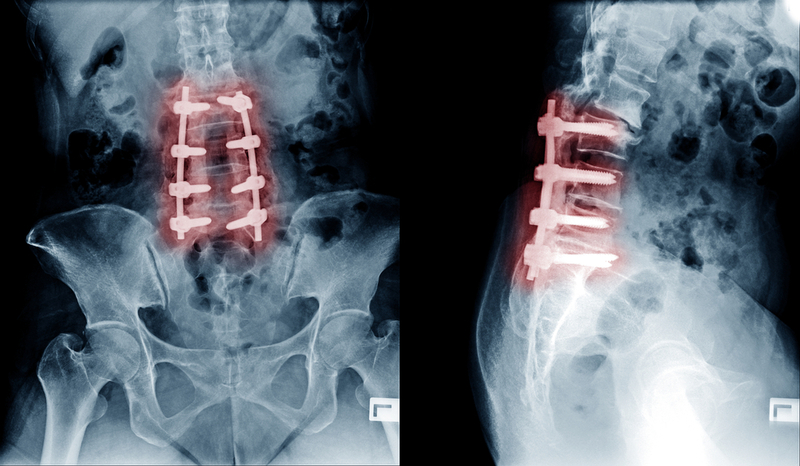 Lumbar laminectomy procedures are performed under either a local or general anesthetic. Your choice of pain relief can be decided at your consultation appointment. However, you are more likely to be allowed to return home the same day as your operation if you choose to have your procedure while under a local anesthetic. If you have having a laparoscopic laminectomy, you will only need a couple of small incisions. The instruments needed to perform the procedure can then be inserted into these to carry out the procedure. Once the area is visible, part of the lamina will be cut away, before then resealing the incisions using sutures. You will be asked to return to our offices around a week later so that we can check on the progress of your healing. Following a laminectomy, as many as 80% of patients notice a significant improvement in their ability to fulfill their usual day to day activities, alongside a reduction in the amount of pain and discomfort they usually experience. If you would like to find out more about a lumbar laminectomy, or if you would like to schedule a consultation, please contact and make an appointment at our modern, inviting and comfortable offices today.